Smart homeowners know that they need roof inspections annually, as well as following any severe weather related activity. So even wiser homeowners make it a point to actually take care of this. 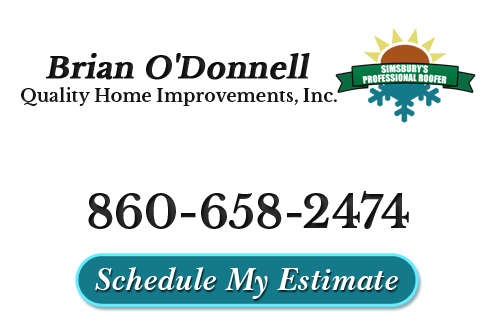 It is simple to take care of when you know the name to call on for this type of service work - Brian O'Donnell Quality Home Improvements. Since 1978, this has been the name that local homeowners rely on for all of their roofing service and skylight related needs. The problem is that the roof inspections in the Simsbury area tends to be one of those tasks that homeowners procrastinate about and this can lead to serious problems. How can you really know what is going on with your rooftop without letting a trained and experienced roofing contractor take a look? Your rooftop is what keeps the rest of your home protected from the elements. The last thing that you want is to have repair needs that are left ignored. Yet the only real way to make sure that your roof is holding up, year after year, is to let a pro take a look. This thorough analysis will help find repairs or other existing issues you may not be aware of. The older your roof gets, the more important this becomes. No matter how long it has been, if you need your roofing inspected, give Brian a call today to get your appointment set up. Prevention - The best approach to taking care of just about any aspect of your home is proactive preventative measures. Being able to take care of minor issues before they turn into major roof damage saves you time and money. Plus it helps prolong the lifespan of your roof. Taking a gamble and waiting until something major happens to realize that you need roof service, is an unwise approach to take. Renovating - If you are getting ready to remodel your home, you should have the roof looked at. The lat thing that you want is to invest money into getting remodeling completed when you ignored the fact that your roof needed major renovating or replacement. Your roof is always your first priority so before you spend your remodeling budget on improving the bathroom, make sure your roof is in tip top shape. Value - Obviously, it goes without saying that the current condition of your roof plays a large role in determining the value of your home. A roof in need of repairs or replacement is going to deter possible home buyers, unless you are willing to come down considerably on the price. Keep your home at maximum property value level by knowing the condition, with regular inspections from a qualified roof inspector in Farmington Valley. Brian O'Donnell Quality Home Improvements can address your need for a roof inspection as well as any other roofing services you may need. We can also get you set up on a regular schedule so that you get this essential task taken care of each year, without having to remember to call and set it up. Let Brian provide you with the expert care you need for the most important aspect of your home. The important thing is to act quickly and stop putting it off. 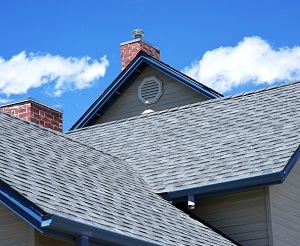 There could be roof repair needs lingering right now, or it could be in impeccable condition. Either way, you deserve the peace of mind of knowing that your roof is ready to weather the next storm. If you would like to schedule a roof inspection with our expert roofing contractors, please call 860-658-2474 or complete our online request form.